Last Week’s International Jewellery London (IJL) saw us have our first trade show stand. It was fantastic to get our collections out there and in front of the industry, gaining opinions, suggestions and generally soaking up the atmosphere of this exciting event. Never ones to shy away from creating a spectacle we made sure our stand was just as striking as the jewellery itself, opting for painting the backdrop a rich purple and displaying the pieces on a vintage table whilst using Philippe Starck Victoria Ghost chairs to give the overall look our signature ‘traditional-meets-modernity’ twist. 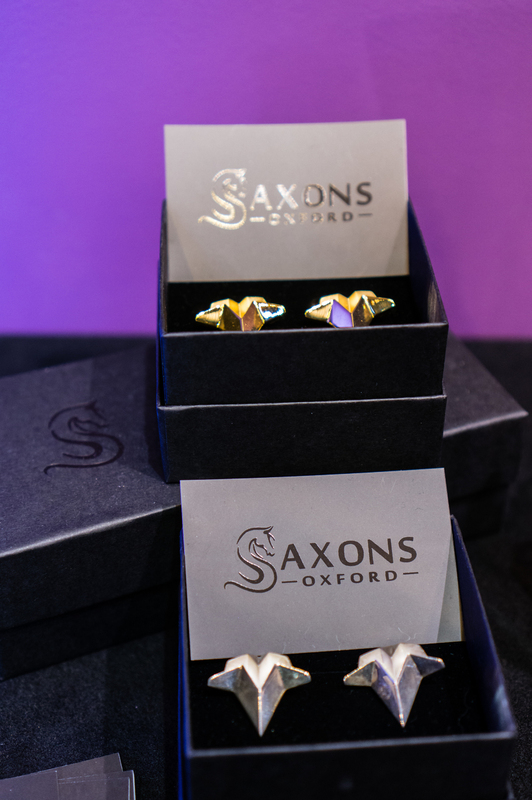 We had a great time talking about Saxons of Oxford to people from all areas of the industry and it was brilliant to get all of the jewellery displayed together along with our newest collection Fusion (details to follow next week – keep your eyes peeled).